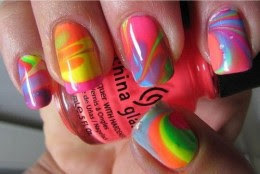 I love funky nails. I wish I could afford or was talented enough to have them. There's just something about having nice nails that makes me feel a million dollars. Here's just a few I have pinned. If you want to see more check out my Nail Board. 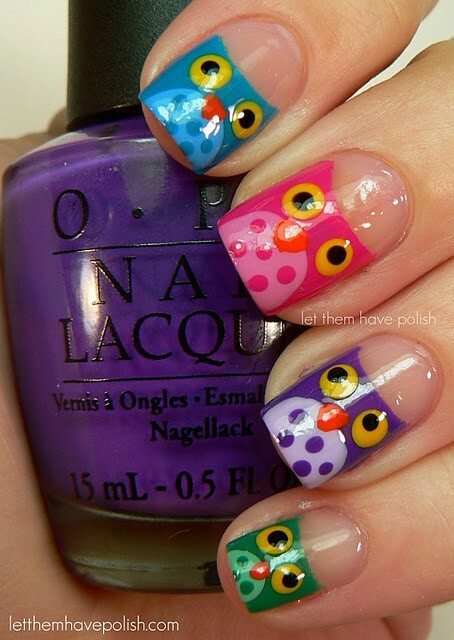 Loving the little owls! I wish I was able to do things like that! Those are all crazy and cool! I love that people have things like "nail boards" on pinterest - how much fun is that? I love it too. I just made a nail board and I'm amazed at just how many awesome nail designs are on there! 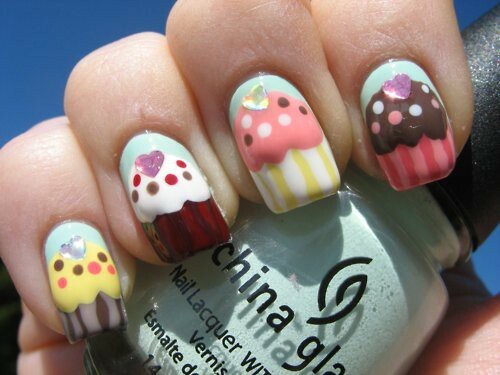 The cupcakes are adorable though - imagine employees of a cupcake cafe having nails like that! You also just reminded me that I have a rainbow paddle pop in the freezer. Thank you! I've been watching your nail board & enjoying all of the ones you've been pinning :) Love the cupcakes especially. Thank you! I think it's my new obsession... another thing to live through on Pinterest! 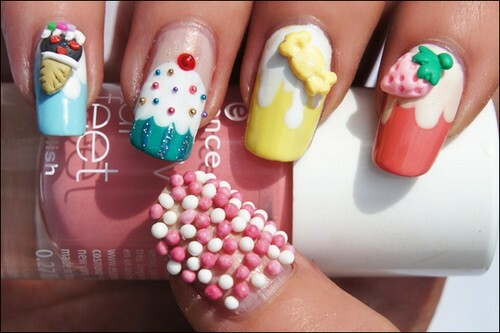 The cupcake nails seem to be the winner here! I wish I was that clever!! 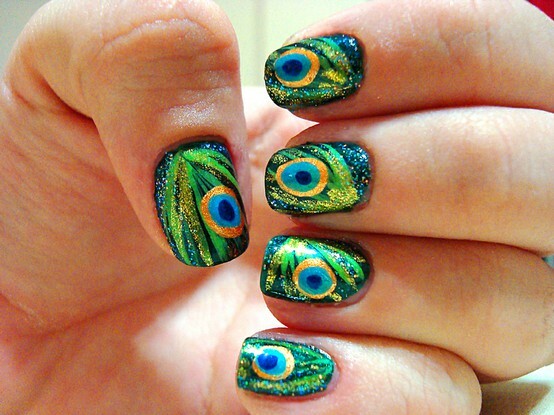 Those peacock nails are to die for! And the owls? So very cute. If only I could wear nail polish to work. Sigh. Great pins! I wish I had the time to sit down and have someone do my nails with that much detail. Must have taken ages! I wondered that too, about the chipping. I think these would help to give up nail biting!! I love the owls! Some of these designs are so, so cute. I think the pink spotty ones would annoy me though- wouldn't stuff get caught in between each of the individual dots? I was thinking exactly the same thing. It's like those massive rings that stick out; they look pretty but would be so annoying catching on everything! these are just too cool! How amazing! I think so too. Pinterest has so many amazing things, so creative! Those are all crazy and cool! Love them!